When it comes to cruising through Hoboken, the new Jaguar XF is a great choice. From plenty of exterior color options to attractive interior features, there’s something you’ll absolutely love when you bring this new model home to Fort Lee. Learn more at Jaguar Englewood today. Inside, you’ll have space to relax, fresh air intake, and a personalized cabin. Finally, you’ll enjoy tech features, like Jaguar Roadside Assistance and infotainment systems. After reading Jaguar XF reviews and knowing what the model includes, you’ll want one for yourself. 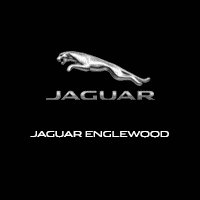 If you’re looking for a Jaguar XF for sale near Weehawken, check out the options available at Jaguar Englewood. You can also compare the Jaguar XE vs. Jaguar XF to expand your search!